The Tretyakov gallery in the center of Moscow said a man attacked the screen just before the close of business on Friday. He'd managed to get past a group of gallery owners, said the gallery, picking up one of the metal security posts to keep the audience away from the painting, and slapped his protective glass cover several times. The thick glass "was smashed," the gallery said in a statement. "The painting has been seriously damaged and the canvas has been pierced in three places." The police arrested a 37-year-old suspect for damaging a cultural artifact. The Russian news agency Tass said that the man from the city of Voronezh, about 300 miles from Moscow, had attacked the painting because he said he thought it was historically inaccurate. "I came to look at the painting," he told the police. "I wanted to go, but then I fell into the buffet and drank 100 grams of vodka, I do not drink vodka and I'm overwhelmed by something." Russian nationalists who object to the painting and deny its accuracy have demanded that the Gallery removed it from the exhibition, what the Tretyakov does not want to do. 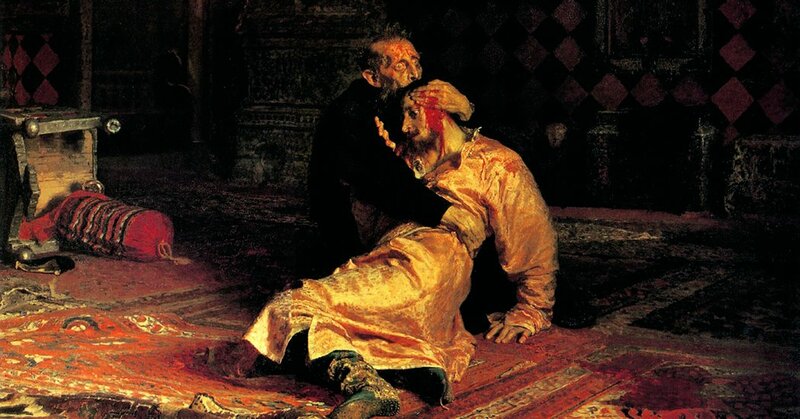 Russia has attempted to improve the public opinion of the Tsar, including by a very popular exhibition in 2015 near the Kremlin, whose theme freely translated as Ivan the Terrible should really be considered as Ivan's not so bad become. Last year, President Vladimir V. is said to have defended Putin Ivan. ItFriday was not the first time that the canvas was attacked. In 1913 Abram Balashov smashed three times with a knife, Tass said. The creator of the painting has restored it himself.